Zen Honeycutt, the leader of Moms Across America, announced this week that Costco will not be selling the glyphosate-based weed killer Roundup Ready. In a live video update posted on Facebook, Honeycutt stated that she received word that Costco was no longer selling Roundup or glyphosate-based herbicides. While she has reportedly not received any official word yet from Costco, she stated that she has talked to various people at the headquarters and various regional offices to confirm this news. Honeycutt stated that based on the recent lawsuit against Monsanto in 2018, where a jury awarded damages to a man with terminal cancer resulting from exposure to glyphosate, Costco had decided to stop carrying the product. 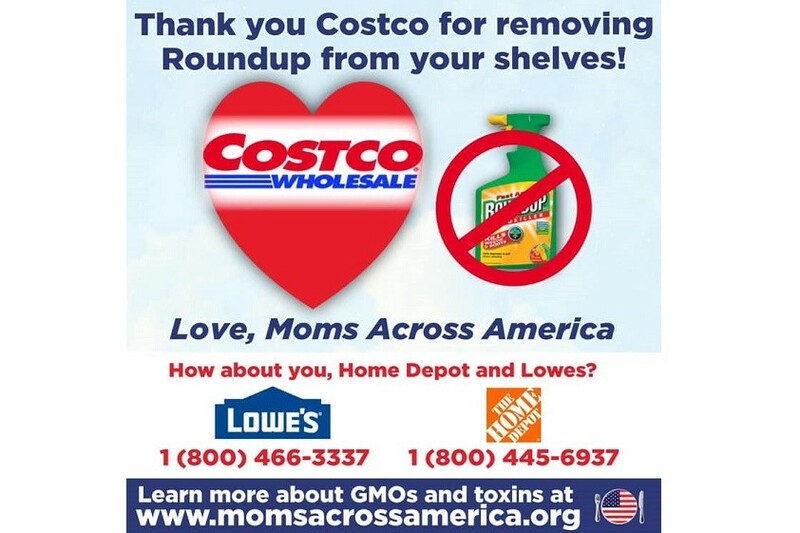 Moms Across America also sponsored a petition on Change.org that received over 89,000 signatures asking Costco, Lowes, and Home Depot to stop selling Roundup. It is hoped that Home Depot and Lowes will now follow Costco's example.